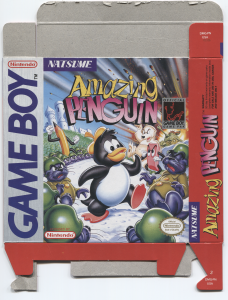 Amazing Penguin box side 1. 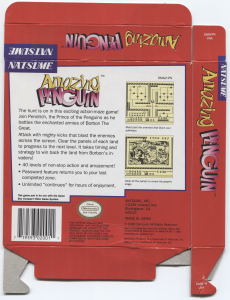 Amazing Penguin box side 2. 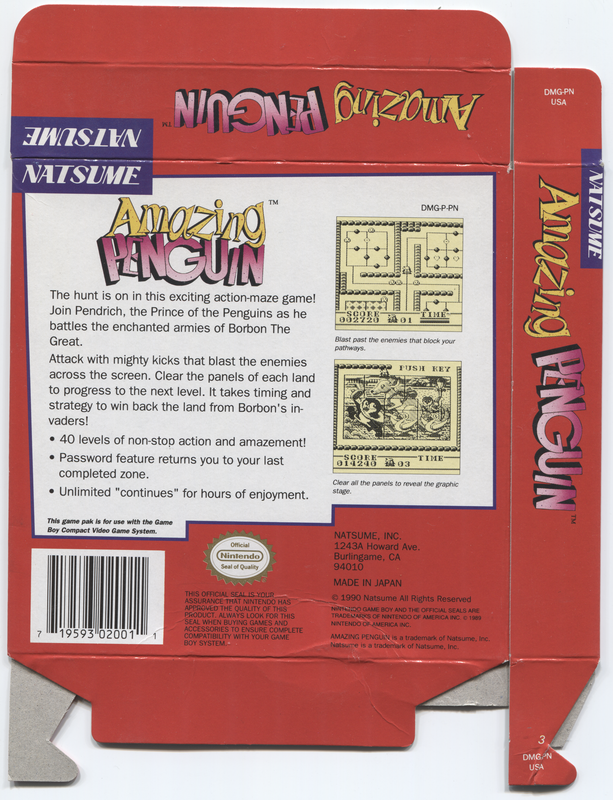 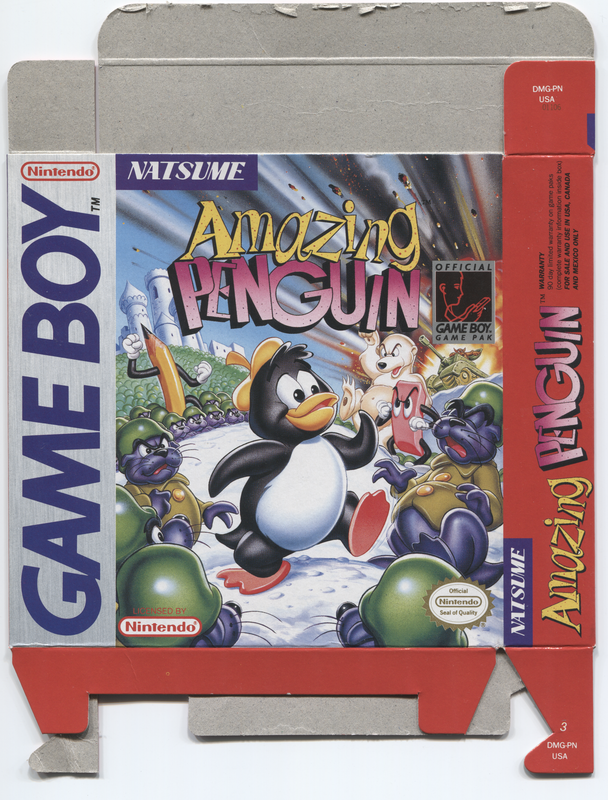 Front and back US box art scans of Natsume’s 1990 Game Boy title Amazing Penguin. 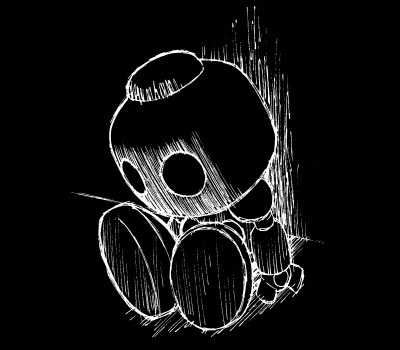 With fold damage, unfortunately.